WoW! This is stunning! I love the embossing and distressing! Love the color combo and that fleur de lis is gorgeous!! Awesome card Amber!! Gorgeous card, Amber. Love the fleur de lis. Gorgeous Amber! The perfect finish to your fabulous party! I loved being able to be on this team with you! this elegant thank you is the ideal way to finish your fantastic party theme! Love how you got everything to match up! !..It's have been such a thrill for me to see your projects every week!! 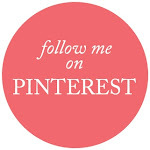 I love that fleur de lis, yet I have yet to use it! It is so lovely and elegant. 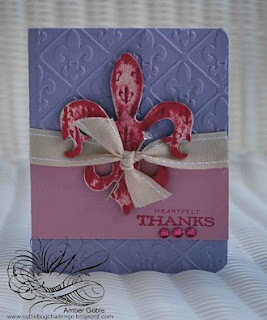 Amber I love this fleur de lis image as the focal point of your card, especialy in the fun girlie colors!! Love your card Amber! The chipboard is pefect with the embossing folder and I love the tie around the middle! Beautiful Amber as was all of the pieces for your party this month has been so much fun.